Anthony Horowitz discusses writing his second James Bond novel, Forever and a Day, available today. Earlier in the week we had the chance to quiz the Anthony Horowitz on his new book and find out a bit about what it takes to write a Bond novel. Among other things he told us how writing Bond is different from his other books, who he imagines as 007 when writing, and why he doesn’t suffer writer’s block. Congratulations on the publication of Forever and a Day. It’s your second James Bond novel, do you feel any different from when Trigger Mortis was published? In a way I’m less nervous this time. There was such a positive response to Trigger Mortis, particularly from the real Fleming fans, that I feel I’ve earned my license, so to speak. I also had a lot of fun writing Forever and a Day so I’m looking forward to seeing how it’s received. You’re well known as a novelist and screenwriter. In what ways does James Bond differ from your other books and does 007 present any particular difficulties? For instance, you mentioned on twitter that Bond requires an additional round of editing, but also, do you try and channel your inner Ian Fleming when writing? 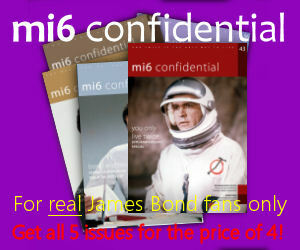 There are some challenges writing 007 but perhaps not the ones you think. I have no issues with changing attitudes, for example, the need to be aware of modern sensibilities. I don’t feel a need to make excuses for Bond. In fact the most important thing, for me, is not to break faith with the original. No. The real work goes into attempting to capture Fleming’s style: the genius of his descriptions, his action sequences, his economy of his writing, the way he sees the world. I wish I did have an inner IF to channel! But it’s more a case of immersing myself in my books (which I have done all my life anyway) and then trying to raise my game. The new book is set in the south of France in 1950. What attracted you to the French Riviera and why do you think it makes a good Bond location? Did you visit the area for research or did you already know it well? I decided quite early on that the second book would look at the early drug trade. The book has been described as a prequel to Casino Royale but in a way it’s also a prequel to The French Connection and Narcos. It seemed a good arena for Bond and one that Fleming had largely ignored. Once that was decided, Marseille and the South of France were the obvious locations (although I did toy with the idea of sending Bond, briefly, to Burma). It helped that I was in Cap Ferrat last summer and even stayed in the “real” Shame Lady. 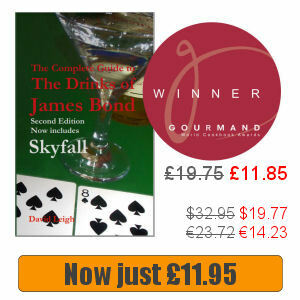 And it seemed to me that Bond would be perfectly at home in the French Riviera with its glamour and its gangsters. Many people’s expectations of James Bond tend to be largely moulded by the films. Do you think your writing is affected by the cinematic 007, even at a subconscious level, or do you make an effort to stop that creeping in? Not at all. I vividly remember my enjoyment of the Sean Connery films all those years ago and when I write Bond I like to think of him. I can actually hear his voice in some of the lines I’ve written. I’m also a big fan of Daniel Craig, by the way, and certainly think of the visual riches of modern Bond films. That said, I’m careful not to cross the line as my work is very much rooted in the books. No gadgets, for example. They were a film invention, largely, and became ever more outlandish. No doubles entendres! And as the books were mainly set in single locations, I don’t bounce too much around the world. John Pearson and others have convincingly claimed Bond was simply Ian Fleming’s more adventurous alter ego. Prior to sitting down to write your books did you take a look at Fleming’s life for inspiration and what other research did you conduct? I did read about Fleming’s life – I very much like Andrew Lycett’s biography and must read John Pearson’s as it’s often recommended to me. But I really found my inspiration in the books and in the South of France. Following you on twitter, I’m amazed at the speed at which you write. What’s your writing routine and, if you ever suffer writer’s block, what do you do to get back on track? I don’t suffer from writer’s block because I’m simply too busy. If I’m briefly stuck on one project, I’ll go out and walk the dog and by the time I get back, everything is normally fine. I wouldn’t actually say that I write that fast – certainly not by Ian Fleming’s standards! But I do love writing and spend many more hours at my desk than he did (sadly not with a golden typewriter). Lastly, what’s the most Bond-like thing you’ve done? I’ve been scuba diving all over the world (Thunderball). Skiing (OHMSS). I’ve gambled, smoked and drunk a great many vodka martinis. Sadly, modesty prevents me from discussing any other Bond-like activities.